How do you summarize a year? 2014 in review. As another year comes to a close, I surf my Facebook feed and read through emails attempting to digest and reflect on all that has happened in 2014. Everything that was lost and all that was gained. I wanted to write that “this is a year that will go down in my history as a special year” but then I stopped myself. Because every year should probably be a special year. In fact writing that sentence reminded me of a short post in 2011 that I wrote when this blog was just a collection of randomness (oh wait, it’s still sort of that way, only more consistent!). The fact that we highlight a specific timeframe. That we measure things based on a calendar. It’s always bothered me and yet motivated me. Health class yesterday centered around this idea of timeframe. And more specifically about resolutions. About setting S.M.A.R.T. goals to help accomplish what we set out to do in the coming year. Goals that are specific, measurable, attainable, realistic, and time bound. I set my goals for 2015. I want to run a full marathon (Portland look out!). I want to get under 150 pounds and stay there (the plan is to stick with a Healthy Solutions based diet). I want to journal at least once a week as writing has and will continue to be a release for me. I want to continue to raise money for community organizations. And I want to continue to strive for a better work-nonwork life balance which I will begin to accomplish through continuing to ensure I have “me time” through fitness and journaling. As I set those 2015 goals out for the Internet to digest, my mind wanders back over everything 2014 brought to the table. I honestly don’t think I had any resolutions for this year. I just knew I needed to stick to the HMR Diet (I was still in the first months of Core) and that I just needed to continue to take small steps that would build upon each other towards the “yellow brick road to Oz” (sorry I just giggled and imagined an HMR class linking arms and skipping down a path to the Emerald City of Healthy and couldn’t resist sharing). In January of 2014, I took a rare weekend off work. I traveled with friends. And I learned to put my needs out publicly rather than giving in to those who pushed back. Oh and on a whim, I signed up for the Disneyland Half-Marathon in August. I should probably note I had never run a full mile at this point. 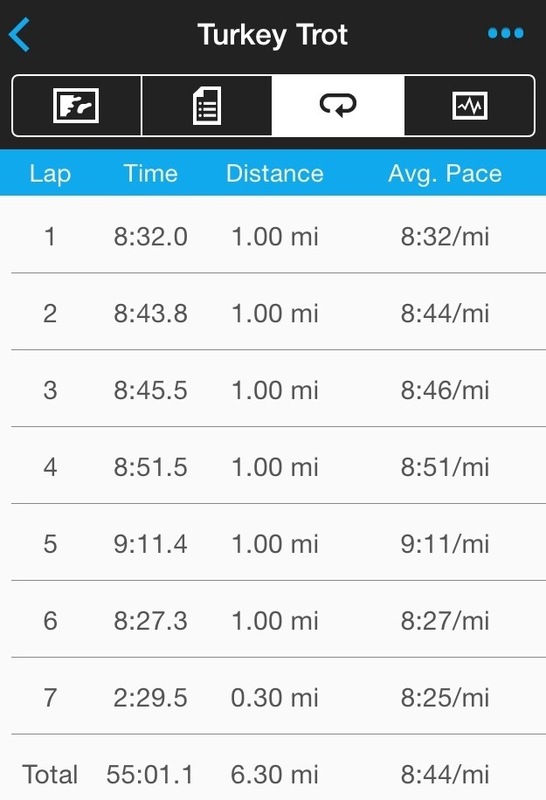 In February of 2014, I ran my first mile (hmmm was there a motivation connection to the previous month? lol). It was at 4.0 mph on the treadmill. I stopped after one mile. But I ran a full mile without stopping. I also tried out every single group exercise class my gym offered at least once. And the ones I hated, I forced myself to revisit again later in the year, just to make sure I really didn’t like them. In March of 2014, I celebrated my birthday at the gym. I invited all of my friends and we did BodyCombat and Zumba and it was so much fun! 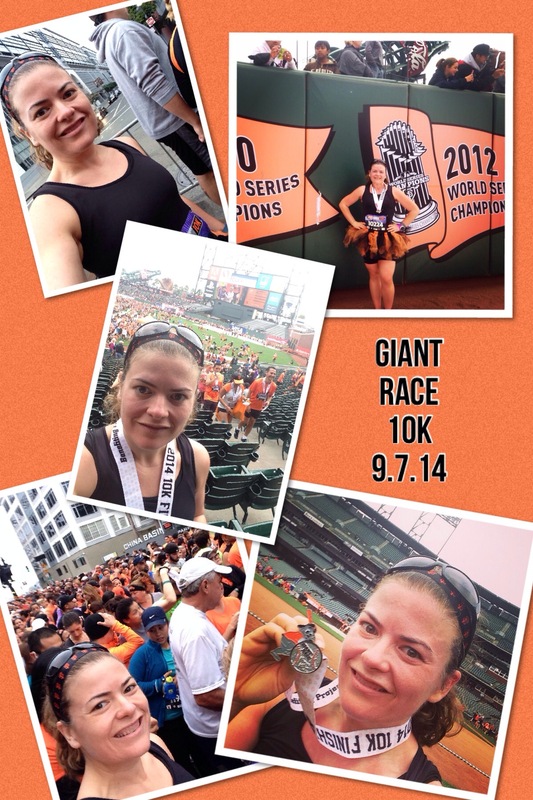 In April of 2014, I ran a 10k. And I loved it. I felt strong. I felt empowered. I felt alive. 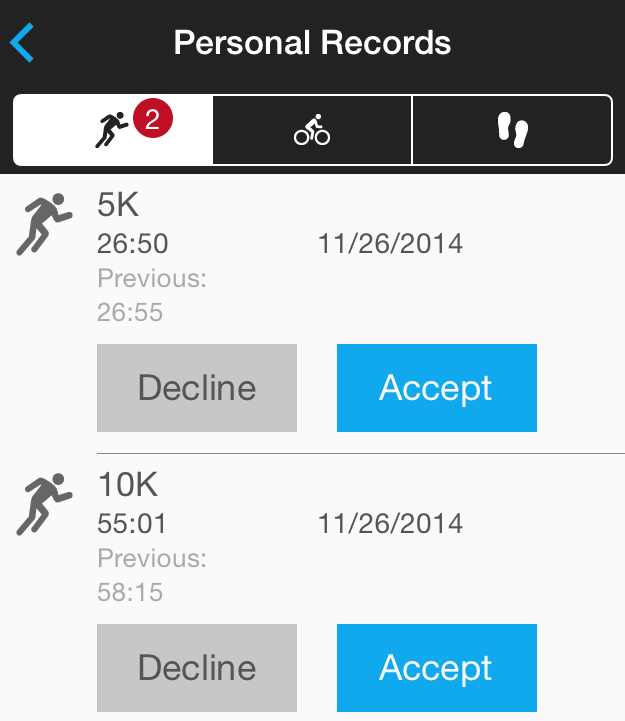 In May of 2014, I ran two 5ks with friends and learned how social running could be. I hit the 90 pounds lost mark after 6 months on HMR and blogged about it. In June of 2014, I ran my first sub-30 5k. A number I had only dreamed about. And in a tutu! I also finished in first place in my Boxing Fundamentals class final exam. I LOVE boxing! Oh and I hit the magic 100 pounds lost. In July of 2014, I introduced my mother to her first 5k. And she finished under her goal time. I ran a 6-mile race with my husband (the self-proclaimed “non-runner” in the family) by my side. I also ran through the streets of New Orleans after an impulsive race-day sign-up. And I stayed in the Decision Free box the entire time I traveled. In August of 2014, I RAN TWO HALF-MARATHONS and finished both in under two hours and thirty minutes – one of which was the Disneyland Half. What?!?!?!? No but really… WHAT?!?!?! I also transitioned to Healthy Solutions. In September of 2014, I ran a sub-60 10k. Can you tell how freakishly proud I am of my running? Probably because it’s super easy to measure compared to so many of my other accomplishments and because it’s something I used to try to get out of doing in high school gym class. I also transitioned to Phase Two. 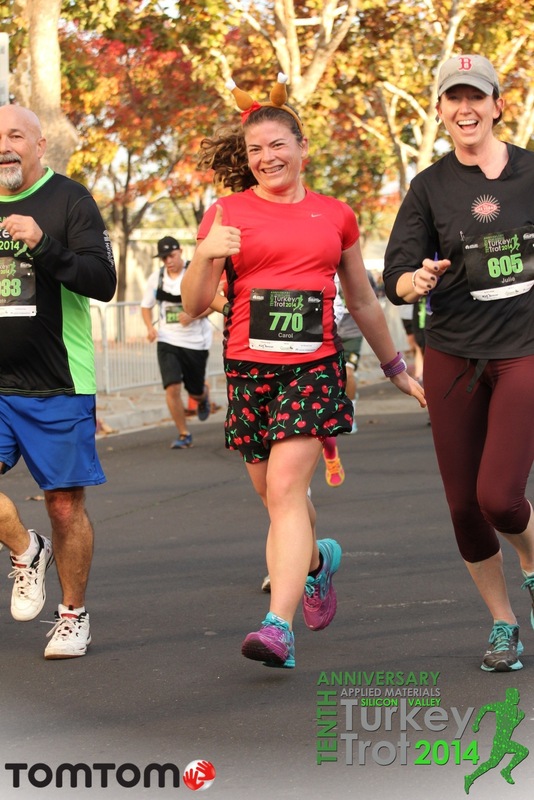 In October of 2014, I completed the Rock and Roll San Jose Remix – PRing my 5k on Saturday and conquering my mental behemoth (and PRing) at the San Jose Half Marathon on Sunday. In November of 2014, I hit my one year anniversary since starting HMR. And I ran with friends on Thanksgiving and scored a new 10k PR! 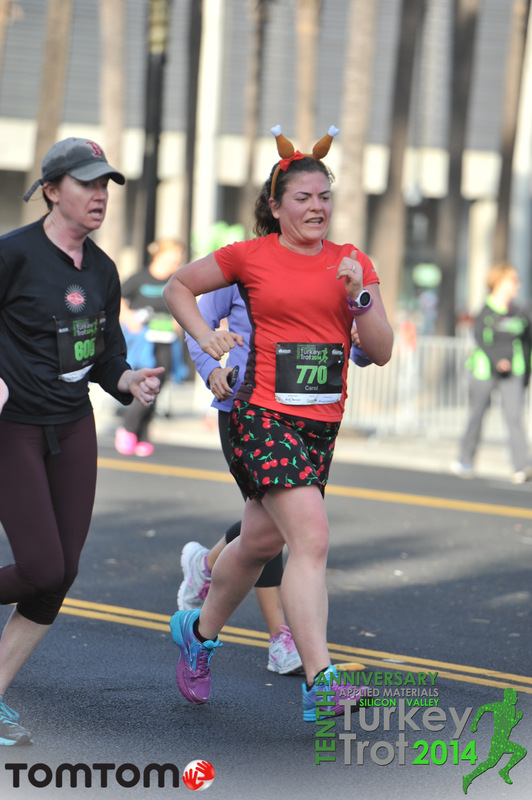 In December of 2014, I shaved some more time off my 5k (post coming in January) at the Santa Run. And I learned a LOT about myself. I spent the holiday season fighting in the gap. And I survived without too many bruises. I am leaving 2014 on a high note. I know I have a lot of self-improvement still to do. A lot of goals I want to accomplish. But a renewed sense of self-determination and body full of energy (despite today’s 5:15am OrangeTheory class). So in short, 2014, thank you for everything you taught me about myself and about the world around me. I am truly blessed to have gotten a chance to experience everything you contained and I look forward to jumping feet first into what 2015 has in store! 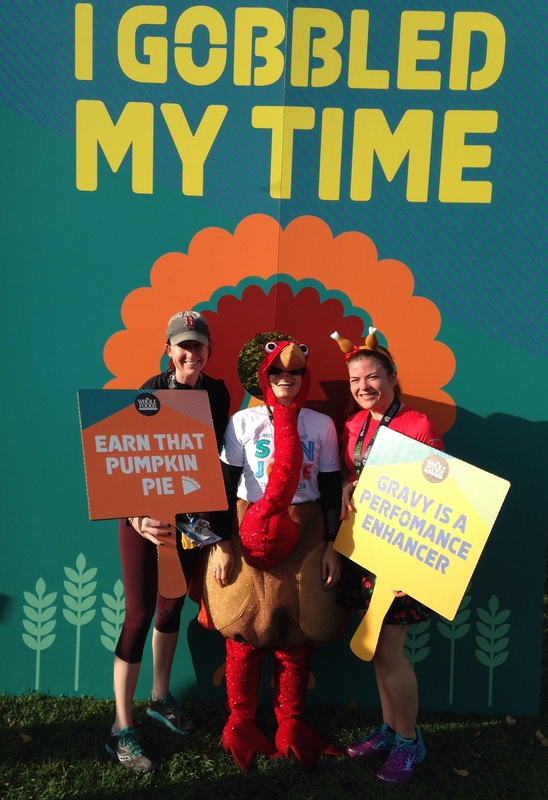 Last Thanksgiving I was two weeks into the HMR Core program and planned on waking up early to cheer on the runners going past my apartment complex. Instead I stayed curled up on the couch enjoying a shake and watching the parade on television. My family went on a one mile walk that evening and I thought that was a lot of activity. This year was going to be different. Several coworkers and I planned on running the Turkey Trot when our school had made the announcement we would try to get enough registrants for a company tent (we didn’t unfortunately) and a number of friends also signed up to run or walk either the 5 or 10k. As debate season stretched on, I made my goal just to finish the 10k giving it my absolute best but my primary focus was having fun, not trying for a PR. I started talking to friends and was excited to have several friends who wanted to run with me! I have always felt too slow for most of my runner friends so it was exciting that I might start and finish with people I knew. I worked the parking lot for packet pick-up the day before the race, so I already knew to expect an insane number of people on race day. Luckily the 10k started 40 minutes before the 5k which meant most of the crowds would arrive after we started. My friend Susan met up at my apartment and we did a slow mile jog to the starting area in order to warm up for the race. We met up with our friends Julie, Pete and Kim. Susan and Kim were running the 5k and Pete and Julie and I were running the 10k. We met up in the front of the 8-9 minute pace area. There weren’t walled corrals and it was self-seeding but wearing bright colors and identifiable head gear made it easy to find each other. Check out my turkey legs! The race started and somehow we ended up near the very front of the 10k starting line (less than a minute between gun and chip time). I was hoping to keep a sub-9 minute for as long as I could without making it impossible to breathe because I knew I had been doing it on my own time and now I had friends who could help me. In fact, every time I felt myself slowing down, one of them would pull slightly ahead which helped me do an internal check and realize I was totally capable of maintaining the faster pace. Gotta check the internal laziness sometimes! We race along folks holding signs and weaved around those slowing to a walk. Most of the 10k felts very similar to the Rock and Roll half course (well for the first segment) which helped me feel confident in my pacing. When we reached the SAP center, we saw hundreds of 5k folks who had arrived who were trying to walk to the start line. Unfortunately it meant traveling through the height of the 10k runners as there wasn’t another way to get to the start from where they parked! A friend later told me she felt like she was playing frogger to get to the 5k (her first time at the Turkey Trot as well). My shoe was untied at mile 5 which definitely meant a quick safety stop. But that quick pause helped me assess my energy level and I picked up the pace as we wound around through the neighborhood I call home. During that 5th mile, Julie reminded me where I was at one year ago and suddenly I felt alive. I tried to hold back tears (don’t want to get dehydrated!) and instead funneled the momentum into my legs. I continued to push through in mile 6, shaving over 30 seconds off the previous mile and running my fastest mile in the race! As we got near the finish, I wanted to push for a finishing kick but didn’t think I had it in me. Julie kept up the positive cheerleading she had been giving throughout the race and told me to follow her. She picked up the pace and I followed as we pushed through and finished strong. I looked at my Garmin when we crossed the finish and I had shaved over three minutes off my 10k PR from September! I couldn’t believe it! I also shaved 5 seconds off my 5k PR from October! My official finishing time was 54:59!!! Aside from needing water right away from the cold dry air (I didn’t bring my own hydration on the course like previous 10ks), I felt amazing! When we walked through the finishing chute area and saw the start for the 5k, I almost wanted to join friends there and go around again! We made our way to the finishers village where we found a plethora of supportive snacks and then wandered out the other side to cheer on all of our friends at the 5k including my husband who rocked the race (and almost missed seeing me cheer for him). It was so much fun and I stayed and cheered the runners and walkers until the last few folks at the end passed by. The group that puts on this race also puts on the Santa Run 5k on December 14. I can’t to dress up and enjoy another holiday jaunt around downtown San Jose! Confession: This is not my first health & running blog. In 2009 & 2010, I kept a blog where I thought I was anonymous. I was clearly naive. And I shut it down when I found out people I knew were reading it. I was embarrassed. I was slow. I was overweight. Who was I to write about health. My writing wasn’t me, it was a facade I was attempting to create. Which is why when I started Healthy Academic, I knew it had to be different. I had to be okay with being public. And I had to write from the heart. IT WAS A HUGE FREAKIN’ DEAL!!!!!!!!!!!!! If you have followed my blog, before my writing blocks the last couple months, you know I was training for this run. You also know I was told I would never run. So my goal this year was to complete a half marathon. 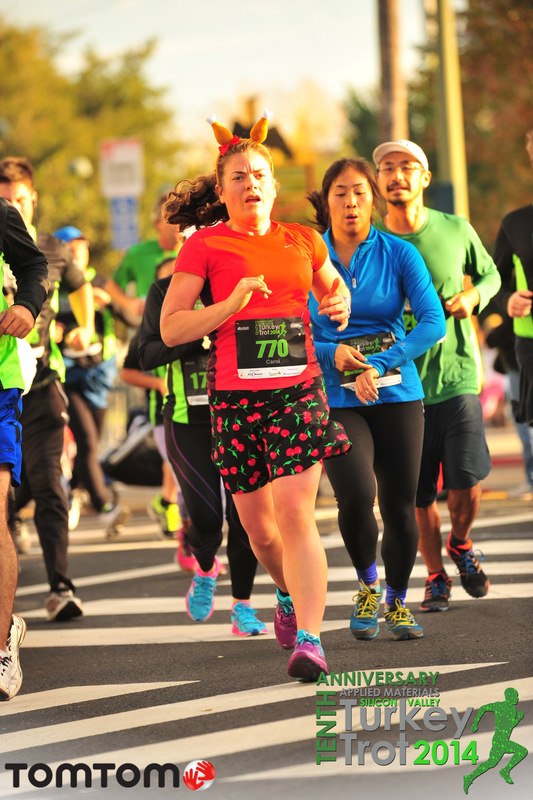 Unlike NY resolutions that you have less control over, a half marathon was a concrete goal to work towards. When I fell down the stairs in August, I lost motivation to blog, to cook and to take care of myself. I felt like I sucked. I couldn’t even walk down stairs for heavens sake! But I had already paid for this half marathon… so with the support of my friends, I started walking. My doctor had told me I was not allowed to jog at all or even walk long distances, especially if I wanted to make it through the 13.1 miles in October. So I spent September NOT training for my half marathon. 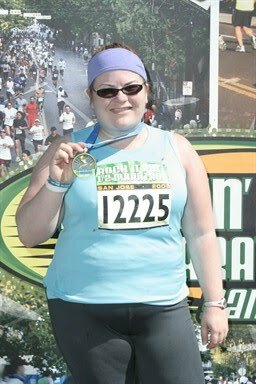 Sane people I want you to know that you shouldn’t attempt to walk a half marathon when your doctor says you will only be able to complete it if you DON’T train. I recognize this is not something that makes sense. I did some aqua jogging and lots of strength training that wouldn’t affect my lower body that was still resting. But how did I make it through 13.1 miles (and that .1 becomes VERY important in this story)??? I set my original finish time at 3:15. That would be a little less than a 15 minute mile which is almost three minutes slower per mile than my latest 5k time but was a reasonable time for me since I hadn’t done one before. But after falling down the stairs, I forgave myself for the knowledge that I couldn’t perform at my best and I accepted a time of 3:30 as my goal. The maximum time allowed for the half is four hours and I was hoping I wouldn’t be bringing up the rear. When the race started that morning, I had my intervals set at 1 minute jogging and 2 minutes walking. I figured that even though I hadn’t been allowed to really work out for the previous weeks, this was a starter interval so I should be okay. And I actually felt like I was moving so slow! It was weird to force myself to walk in the beginning (I actually ran for a good five minutes before starting the intervals because I was embarrassed to be seen walking near the start). However, despite feeling slow, my body has improved over time. At mile 3, I was well under my 46:30 pace time if I was trying for a 15 minute mile, like my original goal (I was at about a 14 minute mile). I felt amazing. Yes people were passing me for those three miles, but I was way ahead of where I thought I would be. AND I WAS GOING SLOW! Or at least I thought I was. At the 10k check point I had slowed down to a 14:45 minute mile. However, despite slowing down and keeping those beginner intervals (and stopping for a bathroom break at mile 5), I was only about two minutes slower than my 10k in July. Seriously?!?!?! At this point I felt both amazing but also frustrated. I knew I would have to stay consistent in order to make it under my 3:30 time. I had also secretly gotten my hope up between miles 3 and 6 that I could come in at 3:15 or less. Silly overenthusiastic me! Mile 7 came and went and I felt myself starting to slow more. I had the beginning of a couple blisters on the bottom of my right foot (right under my big toe) and I had stepped down funny on the left foot at some point. My feet were just starting to tell me they were sore and I wondered how I would make it 5+ more miles. Out of no where, a woman came up beside me and commented that we were running a similar pace. I suggested right away that we should stick together for awhile for encouragement. It turns out it was her first half and she also hadn’t done a full 13.1 miles before coming to the race. We were both having trouble staying motivated and were experiencing pain in areas we hadn’t before (for example, I have never had a blister under my toe!). We stuck together and motivated each other to run when the interval clock beeped and to count down the last ten seconds of some of those minutes that seemed to never end. It felt good to have someone to run with and to keep me going. I felt like if I slowed down I was letting her down and she said she felt the same. Mile 8 went pretty quickly, and I was feeling motivated. Which is why when I saw the medic tent, I didn’t want to stop and get either foot checked out despite the pain that was increasing. So I hit the ten mile mark and my feet and back were dying. I kept trying to remember that it was only a 5k left, but that wasn’t helping. I would have cried but my new running buddy was still with me, although it seemed like the slower I got, the faster she was getting. The medic asked me a number of questions and gave me an ice pack for my back. I was so focused on my back and also subconsciously didn’t want to be sidelined, that I forgot to ask about my foot pain. After sitting for ten minutes, I assured the medic I could indeed finish (in almost a tearful begging sort of way) and she told me I would be on my own as she thought I should probably not be finishing the last 2.1 miles. She was probably right in hindsight. Those two miles were the most painful period I can remember in a long time. I cried almost the entire distance, continually stopping to stretch for the pain in my left foot, and to take weight off my blistery right food. The ice pack that I had to hold to my back while I walked also made for delicious ice chips to chew on. Walkers were passing me left and right and I felt like I was all alone. Luckily my friend Zara was at the finish line with her family waiting for me. She had sent me a couple texts while I was with the medic and knowing she had stuck around long after she had finished the race just to be there for me was what kept me going. I couldn’t quit at that point! At mile 13 as I wiped tears from my eyes, I saw Zara waiting to hug me. She walked with me part of that last .1 until we got to the fenced in finish area where she had to step off the course. With only a couple hundred feet in front of me, I was both embarrassed to be seen hobbling towards the finish and excited to be so close to the end. A woman came up behind me and mentioned she too was hurting and had been behind me the whole last two miles. She said that she knew if I could keep going then so could she. With ten feet left before the finish, I asked if she wanted to jog across the finish line. She agreed and we sprinted to the finish! I am the blue/turquoise tanked runner trying to survive those last few feet! When we crossed the finish line we both winced in pain, gave each other props and dragged ourselves to the waiting medic tent. A medic then used saran wrap to attach an ice pack to my back before I headed off to get my medal. I pulled my shirt over the wrap and smiled! So the last three miles took an hour and fifteen minutes, but I did it. I completed a half marathon! And I can’t believe I will be doing another one in less than 8 weeks! I would go on to set a new PR in Vegas only 8 weeks later that would be my personal best until 2014. I would go on to volunteer at the San Jose Half at the finish line and for two years I made signs to cheer on runners, staying until the last athlete passed my signs. 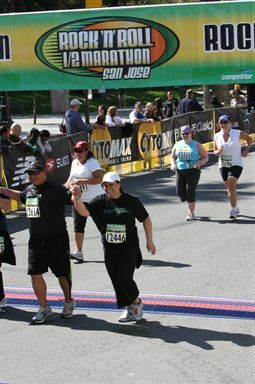 But I would never forget the way I felt during that 2009 San Jose half.